New launch and new formula! As you may know from a couple reviews I have done about make Up Revolution that it is one of my all time favourite top drug store brands. I am really enjoying using all of the eye shadow palettes I own and a few other bits and bobs. I adore the packaging and the pigmentation of the products are amazing, for the price you cannot complain. I think the quality you get is worth more than it is sold for which is fab because we can pick up a few more pieces for a great price. You could fill your make up bag with so many products from them, they are incredible. This is a new product from Make Up Revolution and it contains a new formula, which I can see due to owning some of the other palettes. This new eye shadow palette is stunning, from first glance the colours look great. You have 16 shades ranging from matte to shimmer. You could take this palette from day to night, I could use all of these shades with ease. It is hard to find a eye shadow palette where you use all the colours, with this one I know I will. It comes with a double ended make up brush which is the new Pro 1989, it has a rounded end and a flat end to help you blend in the eye shadow well. Super easy to use and the pigmentation is amazing, this is a must have palette and its only £6.99 which is a bargain. I cannot explain how impressed I am with this eye shadow palette, it is a firm staple in my everyday make up routine. swatches are available on the website here, my arm looked really cold in the picture i took so thought it would be best to leave you with the link to the swatches. Oh what beautiful shades! 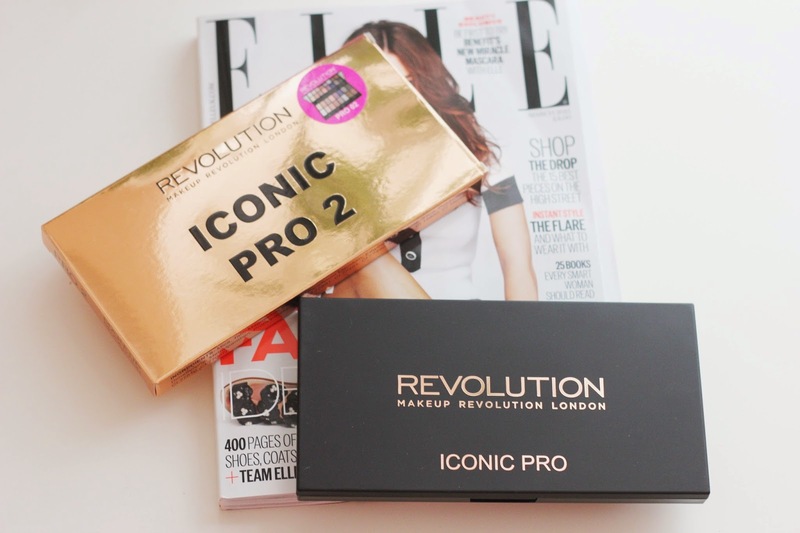 I'm in love with makeup revolution, especially their palettes so at some point soon I'd love to get my hands on this one!! Love the colours in this, such a good choice!